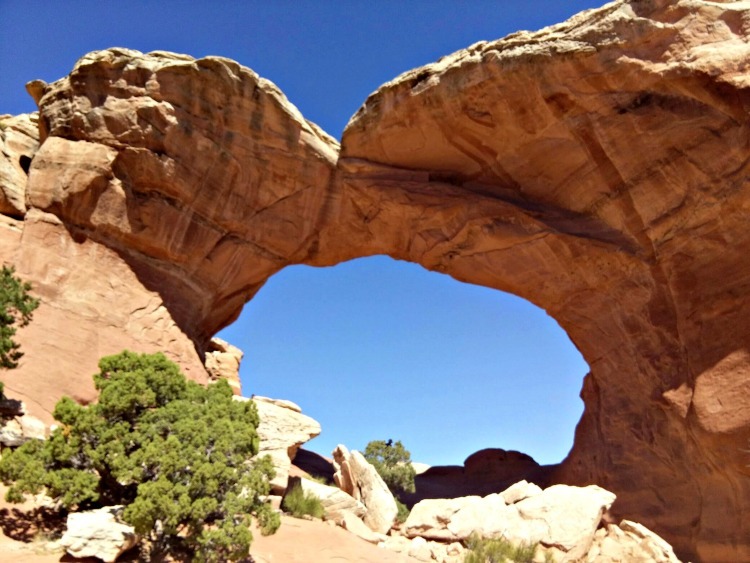 What I Learned From Broken Arch | ever emma. 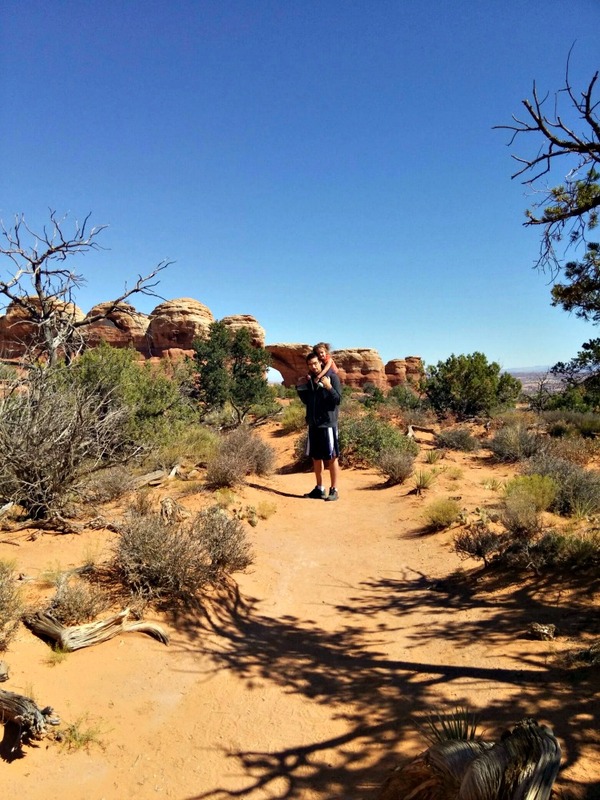 . .
Last weekend I took my pregnant self, my two-year-old, my husband and his buddy to Arches National Park. It was a truly magnificent place with some of the most beautiful sunsets and scenery I have ever seen. I don't know how many of you have been hiking with a super pregnant person and a two-year-old, but between potty breaks and sudden interest in a random dirt patch, we definitely slowed things down. I enjoyed many of our hikes, but, to be honest, I was so focused on making myself go just one more step that I didn't really take the time to truly appreciate the journey, until we reached Broken Arch. The walk to the arch itself seemed like it would never end.You walk across this huge meadow that has zero shade and my constant thought was, "Are we there yet?" It's the moment that we reached the arch that became exciting. If you look into the arch you can see some rocks and behind those rocks is a rock face you can walk up to see what is on the other side and continue on the trail. There is some distance between the rock face and the ground, but there is a log at the base you can use to boost you up. The rock face also looks quite steep from the ground. I can't even begin to tell you how much I wanted to see what was waiting on the other side. I'll admit that when I got to the rock face, my initial reaction was that I couldn't do it. I physically would not be able to make it up. For one, I can't bring my knees up to my chest due to my enormous belly. Secondly, surely I would tumble down this rock face and I didn't even know where the nearest hospital was. I told Tom to go up ahead and take a picture of the view while I waited with little e. This way I would at least get some idea of, what I was certain was a magnificent view. He climbed up ahead and yelled down to me that I needed to see this view for myself. He claimed the climb looked much worse than it actually was, but my husband is practically part mountain goat so this claim meant very little to me. All of a sudden I thought about a book I had listened to just a few weeks before. 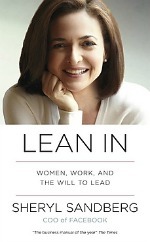 The book had to do with women in the workplace, but it turns out it also has thoughts that can apply to Broken Arch. As I stood there debating with myself, Sheryl Sandberg's question popped into my head, “What would you do if you weren't afraid?” My inner debate ceased and I realized I would stop placing limitations on myself. I would see what was on the other side for myself. Why not at least try? My whole little family made it up that rock face and the view did not disappoint. After this climb, little e and I found some shade at the base of Broken Arch so that Tom and his buddy could explore further. While sitting there I was able to observe no less that forty different people as they approached the arch. As I observed I noticed a trend. Everyone seemed to want to know what was beyond the arch, but not all thought it was something they could do. There was one particular woman though who did not. I could see how much she wanted to see the other side. She walked over to the base no less than three times, but could never muster up the courage to just do it. She needed to, "shift from thinking, 'I'm not ready to do that' to thinking 'I want to do that- and I'll learn by doing it." Even though she will likely never find it, this post is mainly for her. You need to know that you are much stronger and more capable than you know. Stop doubting and holding yourself back, because you're missing the view. *This post was originally posted in October 2016, but as March is Women's History Month it seems fitting to repost. Thank you for taking the time to leave a comment! I read every comment and work hard to respond via email. EVER-EMMA.COM IS A PARTICIPANT IN THE AMAZON SERVICES LLC ASSOCIATES PROGRAM, AN AFFILIATE ADVERTISING PROGRAM DESIGNED TO PROVIDE A MEANS FOR MOI TO EARN FEES BY LINKING TO AMAZON.COM AND AFFILIATED SITES.